We are a small, private, teaching Pre-School Nursery with a maximum of 20 children at any one time. We are a term time, non packway, sessional Nursery where children are in Nursery from 8.30-3.30. We are a small team of 4 teachers, all very highly qualified with one junior member of staff completing her Level 3 training under our wing. Our children and families are a delight to work with and our team is happy, positive and fun to be around. We pride ourselves in high quality teaching (but with child-led approach being at the centre of our vision) and prepare the children for moving on to (some very academic) feeder schoolers in the local areas and further afield. You are here: Home / Work for us Work for us We are always looking for enthusiastic people who are committed to work with children. YOU WILL NEED Good communication skills with children, parents and colleagues, and the ability to work in a thriving team and busy environment. The successful applicants will also actively promote and support the safeguarding of children and young people in the workplace, ensuring nursery policies and procedures are observed at all times. WE OFFER Excellent rates of pay and contributory pension. Paid lunchbreak and uniform provided. Up to 28 days’ holiday entitlement including bank holidays (increasing to 31 after 2 years). Flexible shift patterns Continuing professional development, training and support for all levels and qualifications. WE ARE A small chain of family run day nurseries in Bristol offering flexible childcare. We are an equal opportunities employer. Committed to safeguard and promote the welfare of children and young people. Full DBS (enhanced and check of the barred list) and reference checks are made for all our staff. All roles are exempt from the provisions of Section 4 (2) of the Rehabilitation of Offenders Act 1974. At Caring Kindergartens we aim for each and every child to be happy, achieve and develop in a world where they are supported and are confident to be themselves.Through an enabling environment and reflective practice, along with strong partnerships with families and the wider community, we will empower all children to establish the firm foundations for the rest of their lives. Our nurseries are located in Northamptonshire, Cambridgeshire, Warwickshire and Buckinghamshire. Chestnuts started in 1998 and have two settings: a nursery for under 2's near Twickenham Green and a pre-school for 2 to 5 year olds near Twickenham station. Both sites are open to children from 8am to 6pm, all year round. Childcare 4U Beaconsfield is a private day care nursery and pre-prep located in Beaconsfield New Town. Our fully refurbished Nursery is perfectly positioned for both residents and commuters, with easy access into London Marylebone, and surrounding areas. We are open full-time from 7:30am – 6:30pm, caring for children from 3 months to 5 years. Our philosophy is that every child we care for deserves a calm, caring, safe and stimulating environment in which to learn. We adhere to the strict standards set by Ofsted working within the EYFS (Early Years Foundation Stage) curriculum. Childcare4U Marlow is a private day care nursery located in Marlow town centre, ideally situated for local residents and commuters into London. Our beautiful converted house and garden have recently been refurbished to provide the children with a cosy ‘home from home’ environment. We are open full-time from 7:30am – 6:30pm caring for children from 3 months to 5 years. Our philosophy is that every child we care for deserves a calm, caring, safe and stimulating environment in which to learn. We adhere to the strict standards set by Ofsted working within the EYFS (Early Years Foundation Stage) curriculum. Childville is a home based childcare setting that can take children from 0 to 5 years of age. We provide a home from home for young children and we run a loving family setting . Childville is open from 8- 18:30 and offers families a fun and loving environment where children thrive. We are always looking for fun and enthusiastic individuals to join our team. Take a look at our current vacancies, experience and qualifications may not always be necessary so if you feel you would like to join us or if you see a job that you think you would love to do then get in touch . Doodle Do Day Nursery is a private day care Nursery situated in a beautiful converted church hall in Bishop’s Stortford. Located close to the town centre, the Nursery is perfectly positioned for both local residents and commuters into London. We are open full-time from 7:30am – 6:30pm caring for children from 3 months to 5 years. Our philosophy is that every child we care for deserves a calm, caring, safe and stimulating environment in which to learn. We adhere to the strict standards set by Ofsted working within the EYFS (Early Years Foundation Stage) curriculum. 30 + years experience placing professional child carers and teachers from the UK and other countries. We have successfully placed thousands of professionals with high profile families in UK, Russia, UAE, the Ukraine, Switzerland and all over the world. 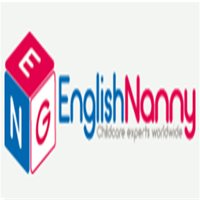 Why apply through English Nanny? By applying through English Nanny, you will receive professional and friendly support at every step; during the job search, before you start the job and whist you are working! Your Personal Placement Manager is always ready to answer your questions regarding the interview, visa process, contract, pre-departure preparations, tickets and any other queries you may have. Our services are free for you; it’ll just increase your chances to get a job. You take care of our clients and English Nanny will take care of you. Falcon British Nursery is the premier nursery in Abu Dhabi, situated in the calm leafy suburbs around Zayed Sports City, close to Mediclinic Hospital and next to the VIP entrance of Zayed Grand Mosque and the only NDNA e-Quality UK accredited nursery school in Abu Dhabi. We are within easy access of all main driving bridges onto and off Abu Dhabi island - Sheikh Zayed Bridge, Maqta Bridge and Mussafah Bridge and we are a trilingual nursery school catering to over 200 children aged 6 weeks to 4 years. Friends Forest Nursery Ash is a Nursery with a difference. Situated in the Surrey Hills, our Forest School Nursery inspires children with our hands-on approach to learning both indoors and out. We are open full-time from 7:30am – 6:30pm caring for children from 3 months to 5 years. Our philosophy is that every child we care for deserves a calm, caring, safe and stimulating environment in which to learn. We adhere to the strict standards set by Ofsted working within the EYFS (Early Years Foundation Stage) curriculum. Friends Forest Nursery Shere is a Nursery with a difference. Situated in the Surrey Hills, our Forest School Nursery inspires children with our hands-on approach to learning both indoors and out. Our sister Nursery, Friends Forest Ash, is located on Manor Road, Ash. Visit Friends Forest Ash We are open full-time from 8:00am – 6:00pm caring for children from 3 months to 5 years. Our philosophy is that every child we care for deserves a calm, caring, safe and stimulating environment in which to learn. We adhere to the strict standards set by Ofsted working within the EYFS (Early Years Foundation Stage) curriculum. Privately owned Outstanding day nursery based in cheam, Focus on home from home care. "Look after your staff and your staff will look after your customers"
We place high expectations on ourselves to provide an environment where children are supported, listened to and above all, respected. Our environment facilitates, nurtures and encourages a wide range of experiences that ensure all of our children feel a sense of belonging at Handkerchief Day Nursery. We understand that the environment is key - it is where all of the fun stuff happens. More than that it's where children can explore, take risks and get the opportunities to build their first friendships. It's a place where our children feel safe, yet also challenged. Whether it's the first time a child jumps on the trampoline or takes on a messy activity, we want them to feel supported and celebrated in equal measure. The well-being and care of our children goes hand in hand with the well-being and care of our staff team. We’re as passionate about staff development as we are about child development. The relationships children form with our staff are absolutely fundamental to the success of our nursery. It’s the thread that holds everything together. It's holding hands, giving hugs and cheering each other on. Our children form healthy attachments that are built on warmth, affection and companionship. How do we demonstrate this to our children you may ask? It’s really quite simple. The gentle touch of wiping a child’s nose, the time taken to change a nappy, or even those quieter moments of giving a bottle to a baby. It’s in everything we do. 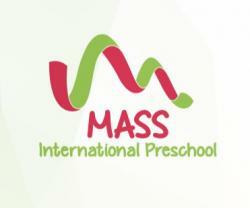 We are a chain of accredited Montessori Nurseries based in east London. In Honey Pot House Day Nursery has been in business for over 15 years providing Childcare for Babies, Toddlers and Young Children. In February 2017 we were rated OUTSTANDING by OFSTED. We are committed to maintaining and building on the existing excellent childcare standards. We strive to provide a loving, caring and safe environment for your children to prosper and grow. Our motto is 'Every Child Matters'. 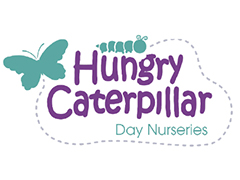 Background Hungry Caterpillars opened in January 1999 in answer to Olivia Foley, the founders, own childcare needs and the inability to find high-quality child care in the local area. Developing an excellent local reputation the group has since expanded across West London into Ealing, Hillingdon, Buckinghamshire & Harrow. Hungry Caterpillars remains a family-run business that responds and develops services to meet the needs of families that it serves. Working With You We realise that it is vital that we earn the trust and confidence of you, the parent, and that you are happy with what we do and how we do it. Working together we can produce happy, confident children who thrive and have every opportunity to reach their full potential. Why Choose Us? Your child is the most important person in the world to you. They deserve to be encouraged, nurtured, supported and loved every step of the way. At Hungry Caterpillars we constantly ask ourselves “would we want this for our own children or family members?” It’s a great question that guides our practitioners, managers and senior team and ensures your child is at the centre of all that we do. Our Vision At Hungry Caterpillars we believe that allowing children access to good quality pre-school education enhances their future life chances. It is a belief that is backed up by research and as such we genuinely want our nurseries to be the best and we want your child’s nursery experience to be a positive, meaningful and above all fun. In addition, we recognise that each child is an individual with their own specific needs. Our staff tailor each child’s care and learning plan to their individual requirements and create an environment that celebrates all that makes them a special individual. Our Staff Team We carefully recruit all of our staff to ensure they have the right qualifications and qualities to be a Hungry Caterpillar team member. Rigorous vetting procedures, follow up on references and a full police check ensures that all staff are completely fit for this important role. In addition, we offer all of our team on-going training, a great range of benefits, in-house and industry recognition and the opportunity to progress within the company. Our philosophy is happy staff make a happy nursery. Specialists in active leisure In2action is a dynamic and innovative company, led by a committed and dedicated management team with over 50 years experience in the activity and leisure industries. We are specialists in Adventure and Activity Holidays for children and young people. To help us deliver our products and services we employ and manage staff, both in the UK and abroad, to deliver the very best in activity instruction and childcare. This year we will be working in partnership with market leading companies such as First Choice Holidays and Canvas Holidays aswell as providing our very own school residential trips. If you're aged 18 or over, enjoy sports and activities, have an ability to work with kids and adults, and are motivated by working in a fun environment then In2action may be what you're looking for. Inspired Learning Group (ILG) is a growing group of independent preparatory schools and nurseries in the South East England. We take great pride in each one of them and cherish their particular identities and tradition, actively encouraging them to participate in their local communities. We support them enthusiastically from Head Office in the achievement of excellence by striving to inspire each individual pupil to achieve their personal and social development and the academic result which best matches his or her personality and talents. Our mission To ensure every child is safe, secure and stimulated and fully prepared for the world of tomorrow Our Vision ILG empowers its schools and nurseries to achieve their mission and vision through challenging yet supportive governance. We connect schools, stakeholders and professional associations to create opportunities and build capacity. Our pupils will leave each of our schools and nurseries better equipped for their school of choice. ILG works with school leadership to set clear improvement goals through engagement with pupils, parents, staff and the wider community. We recruit invest in and retain outstanding practitioners. We ensure the provision and monitoring of broad and balanced personalised curriculum for children with individual learning needs. At JEM Childcare Solutions we recruit within the Childcare and Education section placing Childcare Practitioners at all levels, Nannies with Families, together with Teachers working in Schools and Independent Schools. Our years of experience in the sector gives us first-hand knowledge of the importance of placing qualified and experienced Professionals who are suited to the particular environment of each setting. J EM Childcare : We are proud to work with top Nursery Companies together with independent settings and the service we provide to our Clients is the very best. Full time and part time jobs as well as temporary jobs JEM Nannies: We have a wealth of experience in placing excellent Childcare Practitioners for Families, whether they are looking to employ Live In Nannies, Daily Nannies full or part time. JEM Consultancy: Looking for support with your day to day operations? Looking for Training for your team? Bespoke packaged offered. 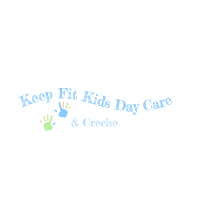 Keep Fit Kids Day Care & Creche is based within Altrincham Leisure Centre. We are a well established and busy day nursery open from 7.30-6.00pm Monday - Friday. We offer care for children aged 0 - 5 years and run a flexible service for our families. We run a Baby room, Toddler room and a full pre-school department run by our qualified teacher. We offer lots of activities across the week and also include an enhancement programme for our children that includes Spanish classes, Science, Swimming lessons, Gymnastics, balance bikes, forest school and much more. KIDS is an inclusive nursery working with children from 3 months to 5 years. We work with children of many different abilities and backgrounds and support them with their learning and development through play. The setting is open 8am-6pm, Monday to Friday for 51 weeks of the year. We are very fortunate to have a new nursery building that will provide opportunities for children, their families, visiting professionals and the staff team. With this expansion we are looking for positive, engaging, passionate and friendly individuals to join our welcoming staff team. LB Specialist Recruitment is a highly professional recruitment agency. 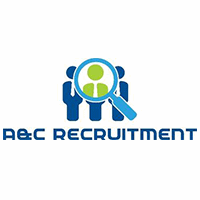 We place our candidates in permanent or temporary jobs. With our selected clients nationwide we specilaise in Early Years and SEN. Our highly trained team works with you to find out what your needs are. We have a number of clients who work solely with LB because we not only match our candidates experience to the client's needs but also match their personality to the right team. The LB team are focused on delivering the highest level of service at all times to ensure our candidates and clients are happy with our service delivery. We have an honest approach and won't leave our candidates and clients waiting for answers. We will consistently keep you updated regardless of the outcome. A small Montessori nursery for babies and children up to the age of five years. 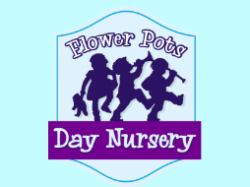 We are a close-knit and innovative nursery based in Swinton, Salford. Our emphasis is on providing high-quality care and education based upon each child's interests. For more information on job vacancies and child places, please contact Lizzie or Romy on 0161 727 8050. Little House Nursery is a private day care nursery situated in a converted house, on the corner of Revelstoke Road and Durnsford Avenue. We are conveniently located between Wimbledon Park and Southfields tube stations for commuters into Central London, and for local residents. We are open full-time from 8:00am – 7:00pm caring for children from 3 months to 5 years. Our philosophy is that every child we care for deserves a calm, caring, safe and stimulating environment in which to learn. We adhere to the strict standards set by Ofsted working within the EYFS (Early Years Foundation Stage) curriculum. At Little Learners, we operate 3 small and very friendly day nurseries in the Croydon area. Caring for children aged 6 weeks – 4 years at our South Croydon and West Croydon branches and children aged 2-4 years at our Purley branch. We offer full time, part time and Early Years Funding sessions (including 30 hours) as well as extended opening hours of 7:30am until 6:30pm at all 3 branches, subject to availability. Little Monkey’s Nursery Windsor is a private day care nursery situated in a beautiful converted house, conveniently located in central Windsor and close to local transport links. We are open full-time from 8:00am – 6:00pm caring for children from 3 months to 5 years. Our philosophy is that every child we care for deserves a calm, caring, safe and stimulating environment in which to learn. We adhere to the strict standards set by Ofsted working within the EYFS (Early Years Foundation Stage) curriculum. Little Monkey’s Nursery Windsor Park is a private day care nursery located on St Leonard’s Road, Windsor. The Nursery operates from two properties on our secure site. The main building houses our babies and toddlers and the pre-school is situated in a spacious purpose built, wooden cabin. The Nursery is conveniently located for access to local towns and cities via the M4 and there is easy access by train, from Windsor Town Centre, for travel into London, where our sister Nursery is conveniently located. We are open full-time from 8:00am – 6:00pm caring for children from 3 months to 5 years. Our philosophy is that every child we care for deserves a calm, caring, safe and stimulating environment in which to learn. We adhere to the strict standards set by Ofsted working within the EYFS (Early Years Foundation Stage) curriculum. Little Rascals Nursery and Pre-school are situated in the heart of Royal Tunbridge Wells. The Nursery can be found on Lonsdale Gardens while our linked Pre-school is located on the adjacent Clanricarde Gardens. Both the Nursery and Pre-school are housed in stunning 3-storey converted houses and are conveniently located for both local residents and commuters, being only a short walk from Tunbridge Wells train station. We are open full-time from 7:30am – 6:30pm caring for children from 3 months to 5 years. Our philosophy is that every child we care for deserves a calm, caring, safe and stimulating environment in which to learn. We adhere to the strict standards set by Ofsted working within the EYFS (Early Years Foundation Stage) curriculum. 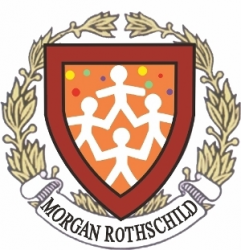 London and Surrey Montessori Schools is a successful group of accredited Montessori Nursery schools providing high quality education and childcare in South London area. The group includes: - DULWICH OAKS MONTESSORI NURSERY - registered for 65 children, rated "OUTSTANDING" by Ofsted in 2017. - DULWICH MONTESSORI NURSERY - registered for 40 children, rated Good, fully Montessori accredited and provides Forest School sessions. - LEMON TREE MONTESSORI - registered for 60 children, located in a beautiful area of Sanderstead in South Croydon. Recently rated Good by Ofsted. Marylebone Services work with a huge variety of childcare settings in and around London who require qualified Early Years staff and Teachers to work on a temporary & permanent basis, this can be day to day, short or long term. This is a perfect opportunity to work days and hours that meet your requirements and work around your life commitments. We supply staff to many childcare settings around London, these include Private & Government Nurseries Private & Government Schools Creches Centres Holiday clubs Breakfast & Afterschool Clubs We at Marylebone Services are recruitment specialists in the Early Years Childcare and Education sector since 1975 and we understand the importance of finding the right candidate for our clients. We feel that tailoring ourselves to support this niche market ensures we are 100% committed to sourcing the best people for this sector. We understand that each environment is different and every person is unique; which is why we make every effort to ensure the fit is right. We also have a proven track record assisting both candidates and clients with their needs. We have two kindergartens in Hong Kong. We adopt EYFS curriculum and promote fun learning for children. The programme is trilingual (English, Chinese and Spanish). We emphasis happy working and happy learning. Looking for great team players with creativity and passion in teaching. We are a Montessori School and Nursery in idylic sourroundings in the West Riding district of Yorkshire. We provide outstanding care and education for children using the Montessori Method to promote learning and development to the children who use our facilities. We pride ourselves in partenrships with parents, supporting learning and development and are comitted to developing knowledge and skills through training and research programmes. Montessori on the Park is a private day care nursery situated in a stunning converted church on the St Marks Gate of Victoria Park and the end of Cadogan Terrace. The Nursery is perfectly positioned for both local residents and commuters into central London. We are open from 8:00am – 6:00pm, 48 weeks of the year and care for children from 3 months to 5 years. Our philosophy is that every child we care for deserves a calm, caring, safe and stimulating environment in which to learn. We adhere to the strict standards set by Ofsted working within the EYFS (Early Years Foundation Stage) curriculum, whilst providing a high quality Montessori education. Mum’s The Word™ is a friendly, well established and family run Nanny agency that provides child care services and nanny jobs in Oxfordshire, Berkshire , Buckinghamshire , Hampshire , Gloucestershire , Cardiff , Wiltshire and Sussex . We also work in London and the surrounding area with the best nanny jobs in London , Surrey , Kingston , Kensington and Chelsea and Newham, East London . We’re on a mission to make family life in London a little easier. We launched N Family Club in 2017 with the aim of shaking up a stagnant sector and designing the modern nursery. In under 12 months, we’ve opened our first site in Hackney with a second launching this autumn, been shortlisted for a national Nursery World award & secured multi-million pound investment from a high profile investor to power our expansion. If you’re excited about helping us build it - we’d love to hear from you. We are a small independent nursery offering Forest Schools in our within our wonderful outdoor extensive facilities.